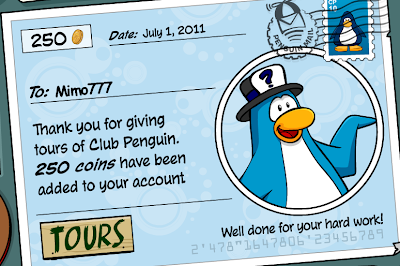 Club Penguin Cheats by Mimo777 Club Penguin Cheats by Mimo777: Club Penguin July Pay Day! Woot! 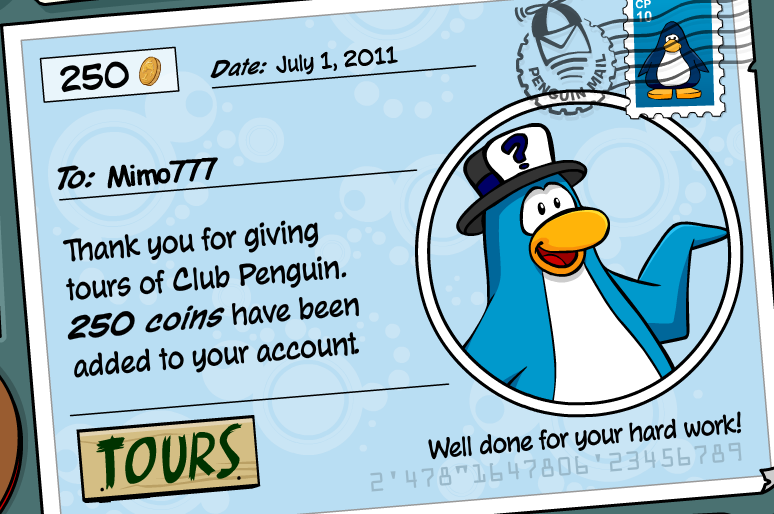 It is July 1st and that means... it is Club Penguin PAYDAY! i don't understand why we get these -.- Just because we are tours and agent`?? LOL!! oh yeah If you want more info i ll just say it here. I logged on but the place where you spawn all the places were full so it totally wacked out and like random stuff appeared... What was the clock for??? I tried this on aqua grabber. on soda seas, try to get the mullet to est fluffy the fish. then go the opposite way then the mullet will pull you the right way and keep doing this till your at the net and the mullet should be on top. drop it and you have your mullet points. 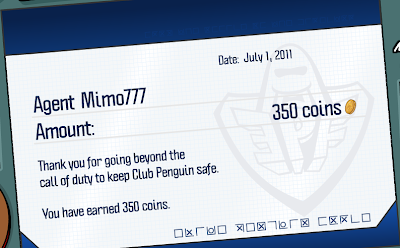 I got to the tutorial room two times and my penguin is almost 4 years old! what the heck happened?! ^^ Everybody's lookin forward to the catalog catalog! Everybody;s looking forward to the catalog, catalog! wooow i remember when i wuz like 9 i used to use this site 4 cheats! i cant beleev u still play all these baby games! grow up kid! July 1st is also Canada day.Happy B-Day Canada! 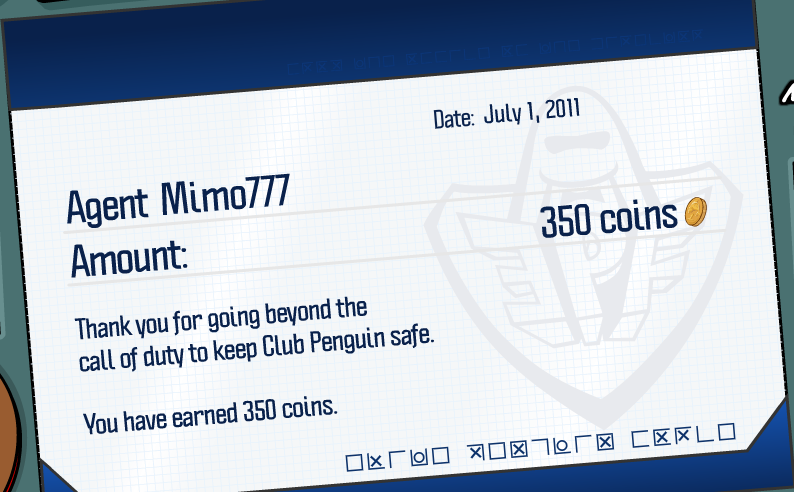 hey mimo, i just became a member, i wanted a have a party in my igloo for once. can you help me at 11:30 on Sunday at alpine club penguin time!! WOW! I just found a exclusive SWF File for you! Just type in Dance Contest swf in Google and click on the first link. While you play, the color of the penguin that dances is Beau Blue, or in other words, very very light blue. PLEASE post this, It's not that easy finding out cheats for you, you know! Your NO. 1 FAN- Madblue18!